Duffeys is proud to offer a wide range of high-efficiency oil and gas-fired furnaces. 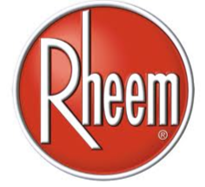 We install, service and maintain equipment by all industry leading manufacturers, including brands like Rheem and Ruud. Today’s high-efficiency furnaces are designed to conserve energy while providing a maximum level of comfort. As a result, your home will be more comfortable than ever before while using less energy. More comfort for less money, that’s our goal. A standard component of a new furnace installation with Duffeys is a complimentary inspection of the existing ductwork. After all, installing a new unit that relies on less than ideal ductwork defeats the intended purpose. While inspecting the ductwork we will also check your air filters, humidifier and UV light in order to ensure proper airflow and indoor air quality. If any improvements can be made, our trained installers and service technicians will make recommendations to improve the efficiency, comfort and air quality of your home. Our goal as Complete Comfort Providers is a maximum return on your investment, the more money we can save you, the happier we are.